How to Remove DRM from iTunes Movies TV Shows? How to remove iTunes movies DRM? There could have been more than one solutions out there in the market to that end, and this page collects the most easy-to-use ones to help you truly remove DRM from iTunes movies in m4v as well as remove DRM from iTunes music. 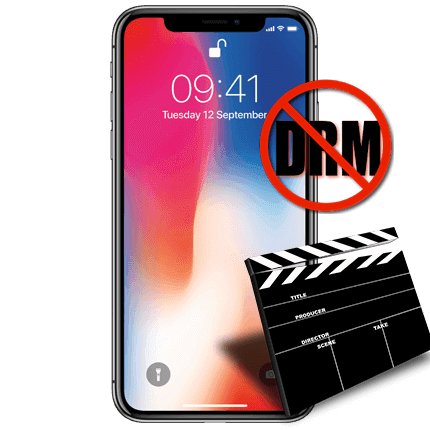 How to Remove DRM from iTunes Movies with DearMob iPhone Manager? Step 3: Visit the "Video" tab on this best DRM removal software, where you shall see movies purchased with your current iTunes account shown in a list flagged by "DRM". Step 4: Choose the very movie you want to remove DRM from, click on "Export", which will take you to a dialogue box saying "This movie is protected by iTunes DRM", click on "Remove"
Please keep iTunes open throughout the DRM removal process, or the software could crash halfway -> Windows 10 iTunes problems [Solved]. Step 3: Visit the "Remove DRM" tab, find your purchase iTunes movie under "Movies", click on "Remove DRM" on the downside-right corner. Step 4: Keep iTunes open, and your device connected during the DRM process. Step 5: By the time you've finished removing iTunes movies DRM, you're good to go to share them with friends or family for non-commercial use either by way of E-mail sharing or Dropbox. 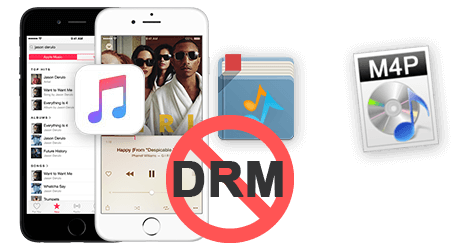 As the best iTunes DRM removal tool 2019, this great free iPhone manager can also remove iTunes music DRM in pretty much the same way that you can remove iTunes movies DRM. Further more, you can use it to backup iPhone contacts, transfer old iPhone to new iPhone for free, transfer DRM-free video to iPhone, etc as long as you USB connect iPhone 8/X/7 to it with an original Apple USB cable. Should you want to learn more about the rest of the less-recommended method, check out the review below and find out why we'd recommend DearMob iPhone Manager in the first place. Another way to remove iTunes movies DRM is Tuneskit, a DRM removal tool able to strip movies, music, TV shows and audiobooks from iTunes DRM protection just like DearMob iPhone Manager does, selling at $60. However, you may discover that this is no more than an iTunes DRM removal tool as is suggested by its name – which means you won't depend on it to transfer old iPhone to new iPhone, or add ringtone to iPhone just like you can do with DearMob iPhone Manager, and when you come to compare the price of them two - the latter is obviously a better deal. Anyway, let's take a look at how to remove iTunes movies DRM with Tuneskit. Step 1: Launch both iTunes and Tuneskit for your computer or Mac after you USB connect iPhone to computer. Step 2: Click on "Add Files" on the main UI, then choose "iTunes Library" to choose & remove iTunes movies DRM. Step 3: Click on "Add", and then "Convert" to initiate Tuneskit for iTunes DRM removal. Step 4: When the process is done, click on "Converted" to browse the media you have ever converted. Compared to DearMob iPhone Manager, the good-and-old Tuneskit seems slightly less competitive in both its functions and price. If you're looking for a solution that could help you out and remove iTunes movies DRM, consider this best & all-in-one iPhone manager. DearMob iPhone Manager features ample muscle to remove DRM from iTunes movies, remove DRM from iBook audiobooks, and remove DRM from Apple Music & TV shows and output them in *.mp4, *.mp3, *.pdf and more format so that you can easily share the content with friends for non-commercial use. Now click on download to experience superfast iTunes DRM removal beyond your imagination. You can also save unlocked movies in iPhone hard drive to take them wherever you go.